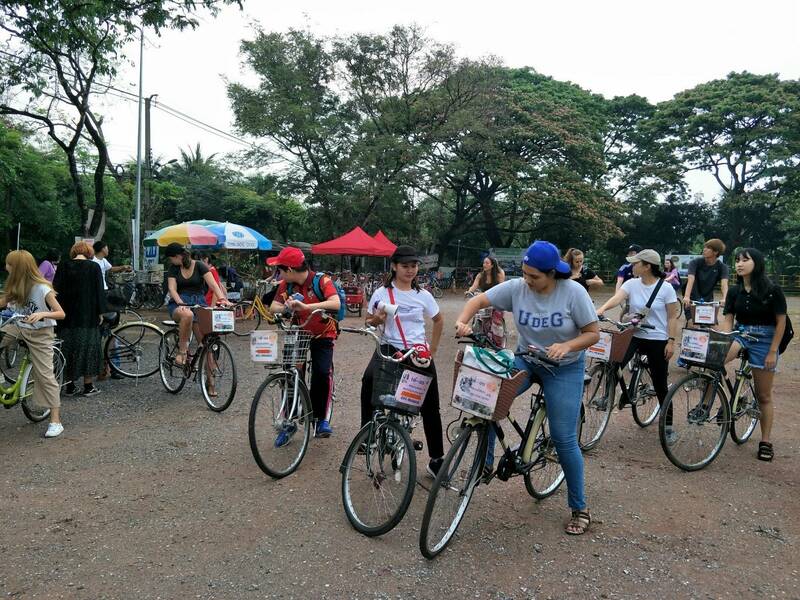 16 March 2019 – Office of International Affairs took 14 international and Thai students to visit Bang Krachao Bight, Samut Prakarn Province, for Cycling Trip. Bang Krachao Bight has been praised from Times Asia Megazine as the Best Urban Oasis of Asia in 2006. Surrounded by Chao Phraya River, the fertile Bang Krachao Bight is ranked as the top ozone producer in Asia. In this trip, apart from cycling, they joined kayaking and Thai Desserts cooking.